For those who enjoy trying seasonal holiday dishes from around the world, make sure to include Puyero Venezuelan Flavor, 524 S. 4th St., on the list, as owners Gil and Simon Arends and Gil’s wife, Manuela Villasmil, introduced several new traditional Christmas dishes earlier this month. 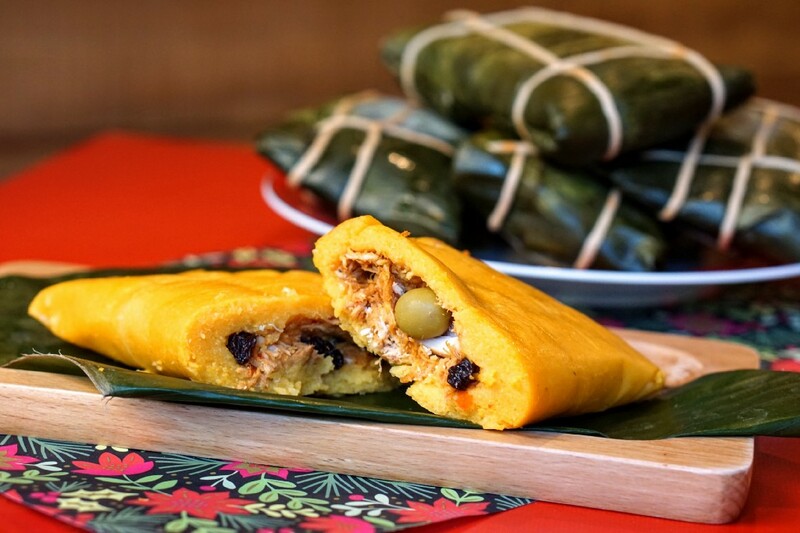 Hallacas, which are very similar to a tamale, are only prepared during the Christmas season. Each one is made from corn dough and stuffed with a stew made from the meat of choice. The fat from the stew is also used to add extra flavor to the corn dough. It is then wrapped in plantain leaves, tied with strings, and boiled. Pan de jamón, or Venezuelan Christmas bread, and Andres-style hot chocolate, are other holiday additions. A couple members of the Philadelphia Flyers alumni will be hanging out at the Broad Street Bullies Pub, 1100 Pattison Ave., on Monday night ( Dec. 18) prior to the home game against the Los Angeles Kings. Besides saying hello to Bob Kelly and Bernie Parent, fans have the option of enjoying a bite before the game. Have restaurant news or events to share? Email news@southphilyreview.com.